A developer is proposing to build the facility, which could generate enough electricity to power 750 homes. A developer is proposing to build a solar array in Fairfield large enough to power 750 homes. 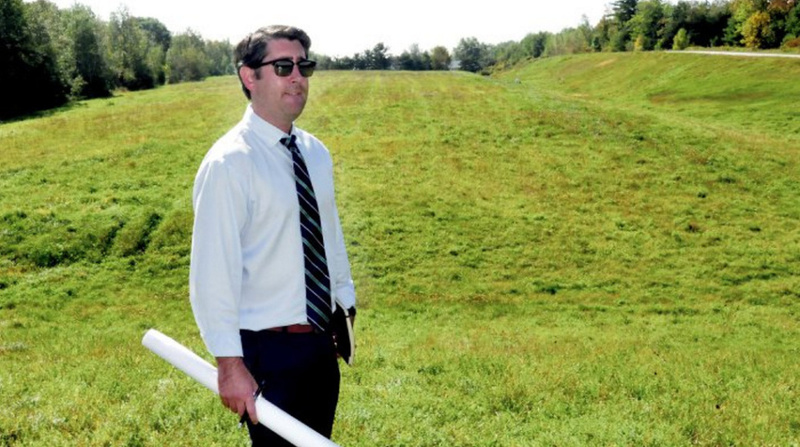 Falmouth-based Gizos Energy LLC has been working with the town for the past eight months to site the array on a closed landfill, according to Garvan Donegan, a development specialist with the Central Maine Growth Council. Last week, the town formalized an agreement with Gizos to begin evaluation and research development of the solar facility. Donegan said the plan is for Gizos to finance a 5-megawatt solar array on a 25-acre lot. The cost for the project could reach $7 million. Gizos, which is the native Abenaki word for “sun,” is a renewable energy company that focuses on developing utility-scale solar farms in the United States. It is the exclusive U.S. development partner for Germany-based hep energy GmbH, a solar investment and engineering firm. The company is also working on two solar arrays on Waterville’s landfill, one a 20-megawatt facility and the other a 5-megawatt facility. Gizos managing partner Robert Patton said the company was pleased to be working with Fairfield, calling its landfill a great site. “We’ve got excellent relationships, we’re very excited for the site and we’re looking forward to bringing it forward,” Patton said. If all goes according to plan, the solar array could be operational by 2020. Given the array’s proximity to Kennebec Valley Community College, Donegan said it will also provide an educational opportunity. The college offers classes and training in solar power, including two levels of solar photovoltaic training: a program that focuses on a basic knowledge of photovoltaic systems for associate candidates, and a design and installation program. Non-degree programs launched in 2012, they are designed for those already in the industry and for those who are seeking certification from the North American Board of Certified Energy Practitioners. Discussions about getting students out on the site to see surveying work, biology studies and surrounding engineering have been held, providing students with real world experience, Donegan said.